I used the print and cut feature on my Cameo Silhouette, so fast and easy! 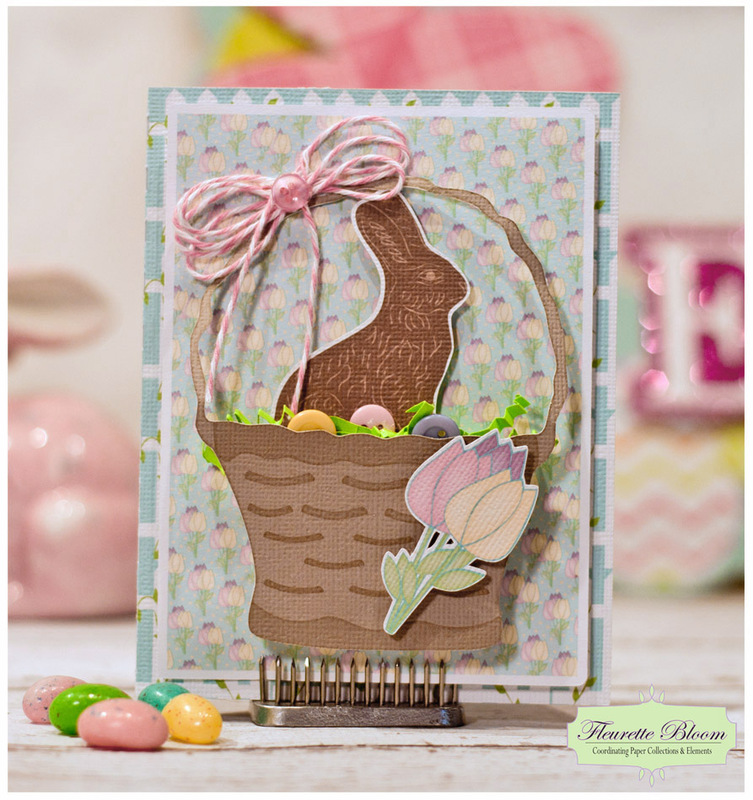 The Basket is a Freebie this week @ Fleurette Bloom Hop on in for yours! Fleurette Bloom - "Easter Traditions Elements"
Fleurette Bloom - "Easter Traditions Coordinating Paper"
SVGcuts - "Everyday Cards SVG Kit"
Adhere (approximately) three pieces of dimensional sticky foam stacked, to the back/ bottom of the basket. 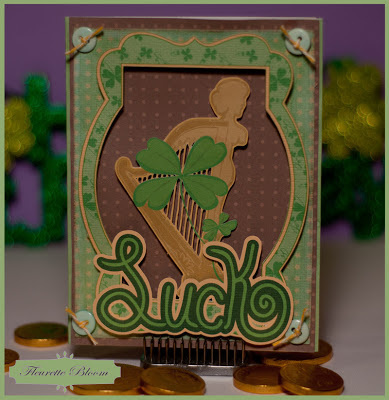 It will depend on the thickness of your foam, how many you will need to lift it off the card dimensionally, to the level of the grass you glued on, then place it in front of the bunny. Always layout your pieces before gluing them on, that way you can make adjustments if needed. 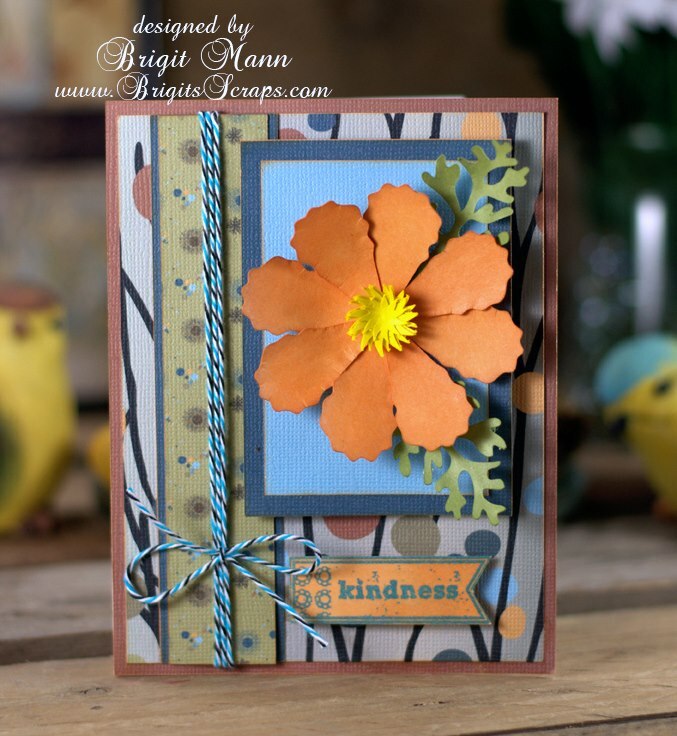 Using paper pack collections makes creating fast, easy and fun! You are insured the colors and pieces will look great together every time. 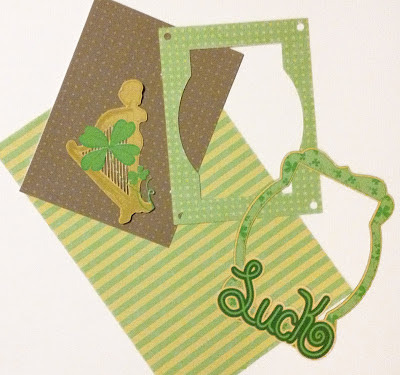 Go Green, not just for St. Patricks Day, but everyday! Using digital paper along with the print & cut features of some paper cutting machines is a great way to take your crafting green! Rather than buy and store loads of scrapbook paper, all you need is some white card stock! One box will do the trick for all your projects. 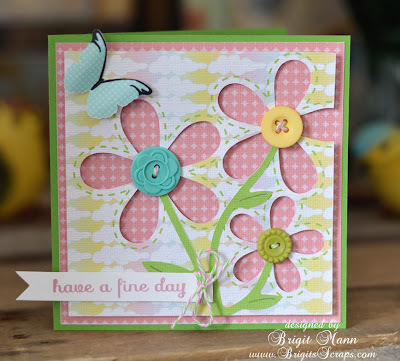 I cant stand using 4 to 5 pieces of paper to create one card, not to mention all the scraps left over that you try to find a way to use later, or never use at all. 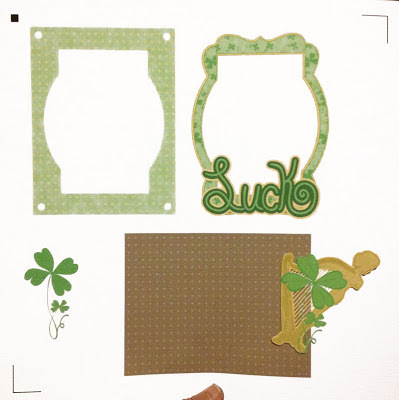 Any printer will work for digital scrapbooking and card making - I create all my paper collections to include both 8.5x11 and 12x12 sheets, so you can print them on any standard printer! Even all the elements can be printed this way. I still use a standard printer myself. 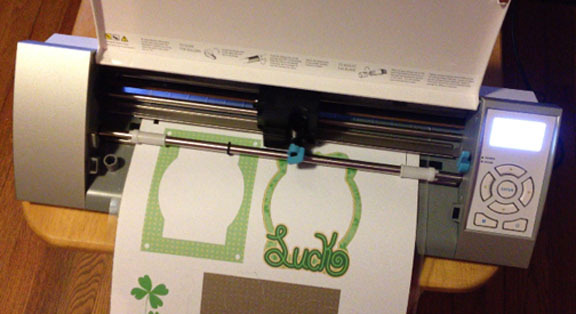 Use a cutting machine that has a print & cut feature, you won't ever need to print full pages. You just fill the shapes you are cutting with the digital patterns (see pictures below). This uses very little ink :) I use is a Cameo Silhouette and I love it, it's print and cut feature is excellent! If you plan on printing loads of stuff, you can opt for a CIS System (continuous ink system). With these you don't have to use print cartridges anymore, they use bottles of ink, that will print tons and tons of papers for pennies! Here is a link for more information on printers and the CIS systems: http://www.cobraink.com/CIS/CIS%20Kit.htm there you can find out everything you need to get started with one of these systems. I have some friends that use them and they swear by them. I am planning on getting one myself very soon. The photo below shows all the pieces that I printed on one piece of 12 x 12 paper. I printed this on a wide format standard printer, but it could have been printed just as well on 2 - 8.5 x 11 sheets of paper. Plus you can add more to the page than I did below. I usually fill the whole page with other project piece too, but for the purpose of demonstration I kept it simple. 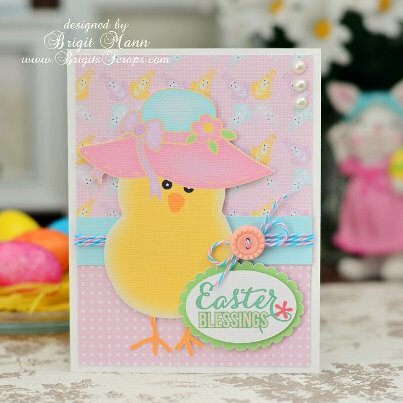 I love this sweet little card that Brigit created using the "Little Chicks Element Collection" and Easter papers that will be available this week! So cute! 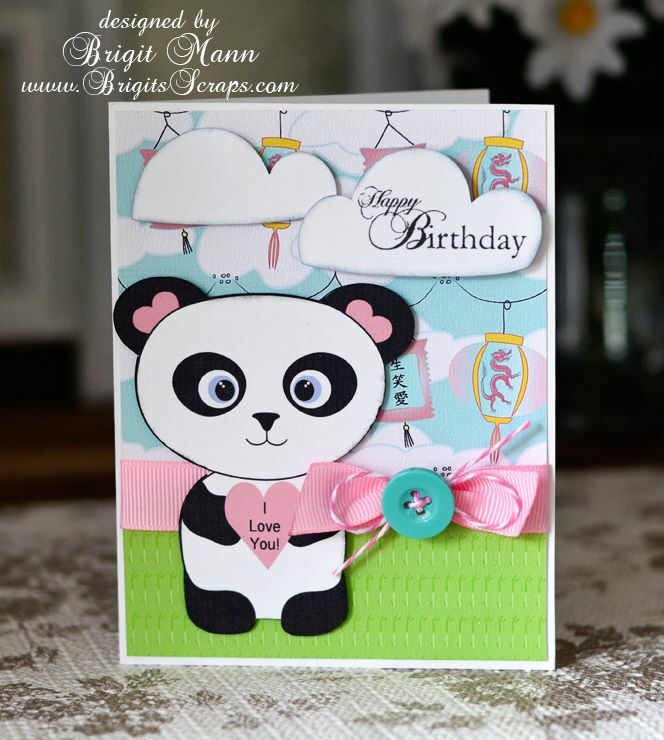 Look at the beautiful card Brigit Mann of Brigit's Scraps created with the new Panda Parade Collection!